"Thus we will see that Katherine of Aragon was a staunch but misguided woman of principle; Anne Boleyn an ambitious adventuress with a penchant for vengeance; Jane Seymour a strong-minded matriarch in the making; Anne of Cleves a good-humored woman who jumped at the chance of independence; Katherine Howard an empty-headed wanton; and Katherine Parr a godly matron who was nevertheless all too human when it came to a handsome rogue." When we were growing up, it was always my little sister who was the Anglophile. Every time we stopped at a bookstore, she had to get a book about England. She even ended up married to a British guy (completely coincidentally, but I'm sure that adorable accent didn't hinder his entry into her good graces). But it must be airborne, because she got me hooked into books about England too. I've written before about my fondness for the Tudor period, but while that might have been the first instance of it showing up on this blog, it certainly won't be the last. 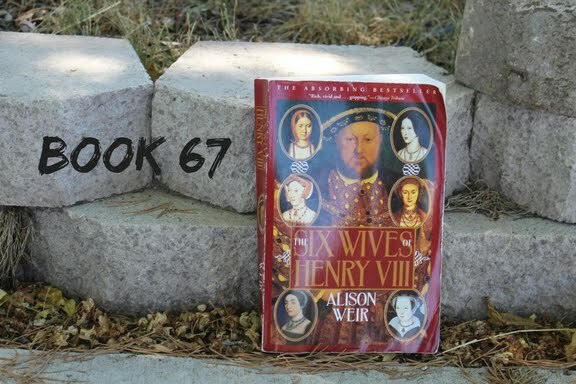 Even with being a Tudor nerd, when I pulled Alison Weir's The Six Wives of Henry VIII off my shelf to read, I figured I was in for a long haul. Nearly 600 pages of nonfiction tends to be a lot to handle, no matter how interesting you find the subject. But as you can see, I actually read it pretty quickly! Which is attributable in large part to how good Weir's writing is. 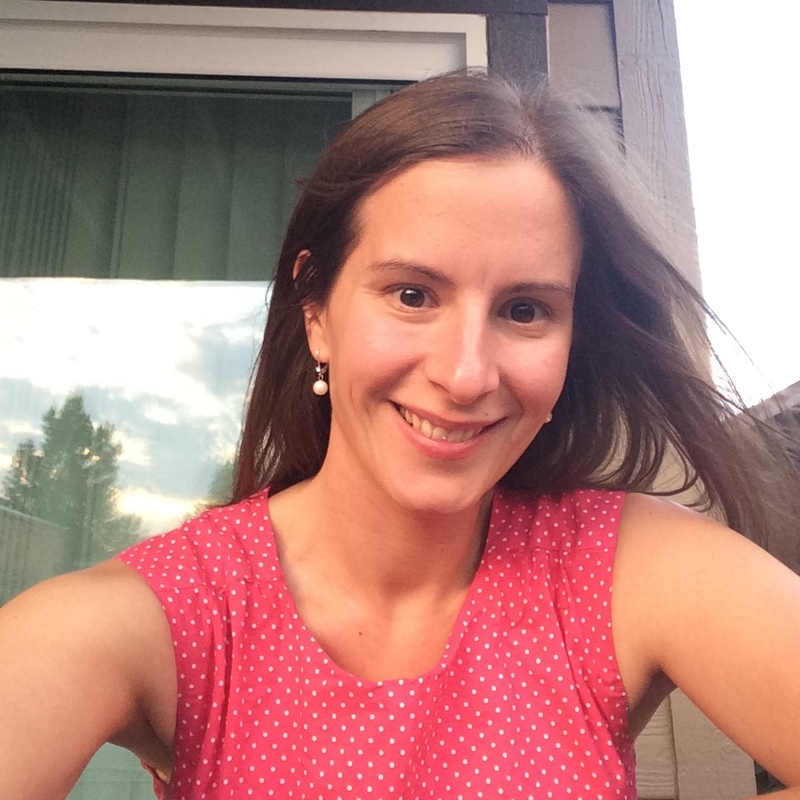 Although she's presenting facts, she doesn't forget that her job as a writer is to tell a story for the reader. The story of Henry the Eighth and his wives is an inherently juicy one, and she tells it well. Like many stories about Henry and his wives, the first two (Katherine of Aragon and Anne Boleyn) dominate the narrative. In the case of books based solidly in historical fact, I have to imagine that part of that is simply because there's the most information there about these two women. As royalty in her own right, Katherine's life would have been much more documented than a common woman. And since Henry and Anne's affair lasted seven years before their marriage, there was a lot of time for things to be written about her by the types of people whose correspondence would have been preserved. Jane Seymour, on the other hand, had a very short courtship with Henry, and indeed a rather short life once they married, leaving much less time for a record to be developed. Weir does challenge the prevailing wisdom that regards Jane as a mild-mannered pawn used by her relatives to secure influence. She would have had to have a healthy level of her own ambition to pull it off and there's no reason to believe she didn't. At the end of the day, this is a history, so if you're looking for deeper cultural analysis along the lines of The Creation of Anne Boleyn, you're barking up the wrong tree. It's obviously very thoroughly researched and told with considerable narrative skill, but there's little in the way of "new" information if you're fairly well-versed in the subject. I did learn new things, like that Henry's outreach to the Duchy of Cleves indicated interest in either of the two duchesses...Anne, who became his wife for a short while, or her sister Amelia. I also learned more about the lives of Henry's sisters...not a lot, because they weren't the subject of the book, but enough to intrigue me and make me want to learn more someday. I'd recommend this book to a pretty wide group...people interested in the time/place/people will get the most out of it, but its size shouldn't intimidate readers without that kind of pre-existing grounding in the subject. Tell me, blog friends...what interests have you picked up from family and friends?